Rubbed off the pattern from an existing garment. Because it was essentially two pieces it was a fairly easy pattern to draft. 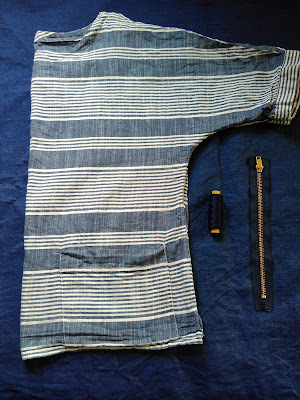 The construction was a breeze except for the exposed zipper closure. I used a different method from the skirt exposed zipper closure I completed recently. 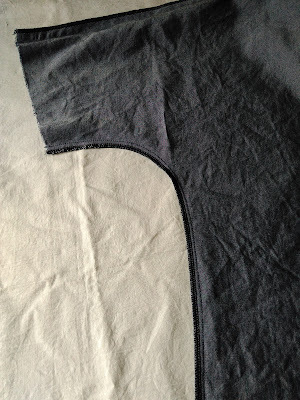 Although the method for exposed zipper for the top is slightly trickier but it provides a neater finish in my opinion. I used a facing instead of bias binding and there's nothing more annoying then the facing flipping out as you wear it, so I stitched the facing down with tiny catch stitches. 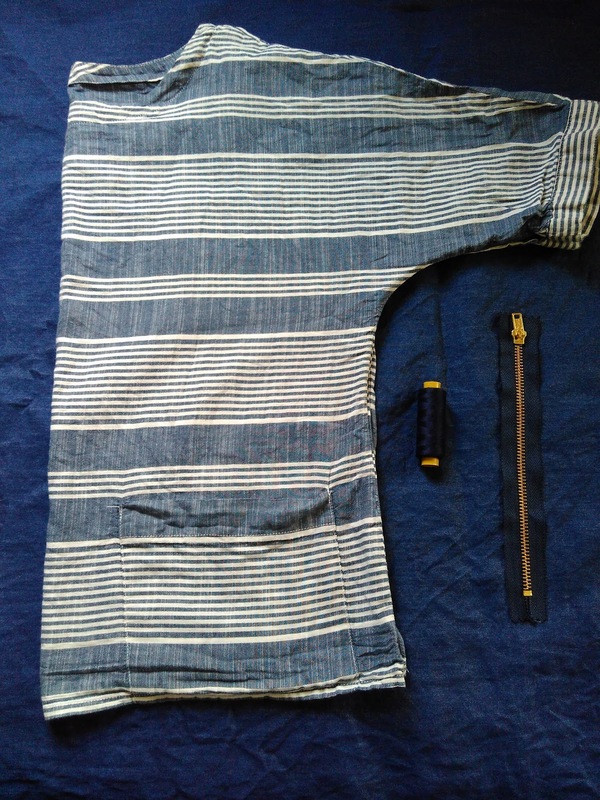 The denim tencel fabric was lovely to work with. It's soft with a slightly heavy hand. Needed only 1M of 60" width fabric. Fabric is from Spotlight during their recent sales. Lovely, especially the zipper part.